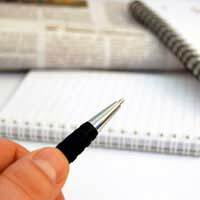 Writing letters to the editor is an easy and free way for a freelance worker to get his or her name out into the general public. These letters should be about an industry specific issue and always use a professional tone as they will help the public form a professional opinion of that freelancer. If freelance workers do choose to write letters to the editor about non-professional issues then they must realise that their words will also affect the opinion that others hold of them. Writing letters to the editor about a professional topic requires a freelancer to carefully consider how (s)he wants to be viewed by the general public. As writing letters to the editor is actually a method of marketing, letters should only be written when they are clearly thought out, have a point to make, and will serve to make the freelancer look knowledgeable about his or her chosen topic. Freelancers are not at work at all times and most people generally have an array of hobbies and interests in which they indulge in their free time. However, any time a freelancer writes a letter to the editor the opinions it contains have the potential to affect his or her business. For this reason, freelancers will want to think long and hard about writing controversial letters to the editor in their leisure time as anything they say could have long-lasting consequences on their work. Writing letters to the editor is not the preserve of the experts and the cranky. In fact, letters to the editor are the perfect forum for anyone who wants to have their voice heard. Freelance workers should take advantage of this forum by cultivating a perception of themselves as experts or market leaders (even if they are not). The more they write in about a topic, and the more knowledgeable their letters, the more consistently readers will associate them with a given issue or subject. This can often be enough to bring them more business when a reader finds him or herself in need of the services that the freelancer provides. Regardless of what or why a freelance worker writes a letter to the editor, there are some tips that will help his or her letter get published. Timely, concise letters that conform to the publication’s stated guidelines often have a good chance of getting published. So too do letters that stand on their own so that readers do not need to refer back to the original story, and that include accurate facts without aggressive attacks on anyone or anything. Sometimes other readers may take exception to a letter and write their own response. Freelancers will want to decide if it is in their best interest to respond to the responses and thus create an on-going cycle of letters. Some editors of publications are happy to allow this, while others may only allow an individual to respond once or twice. Writing letters to the editor is a great way for freelancers to get their names associated with a particular topic. Freelance workers should recognise that writing professional letters and leisure-related letters can both have an impact on their businesses, and that letters to the editor inform popular opinion of their work. Following some simple tips about writing letters to the editor should increase a freelancer’s chances of seeing their letters published.